The March for a Clean Energy Revolution is only ONE MONTH AWAY! Sign up today to march with us! 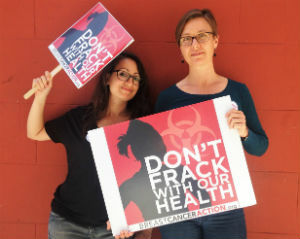 Your presence is crucial to conveying the need to end fracking and other dangerous drilling processes that use toxic chemicals linked to breast cancer. Need more details? Click here for more information on the march. Not sure just yet if you can make it? Sign up here anyway to get all the last-minute info that I will send to you closer to the march. Our elected officials need to put our health before oil and gas industry profit now! But they won’t do it on their own. We have to demand it. 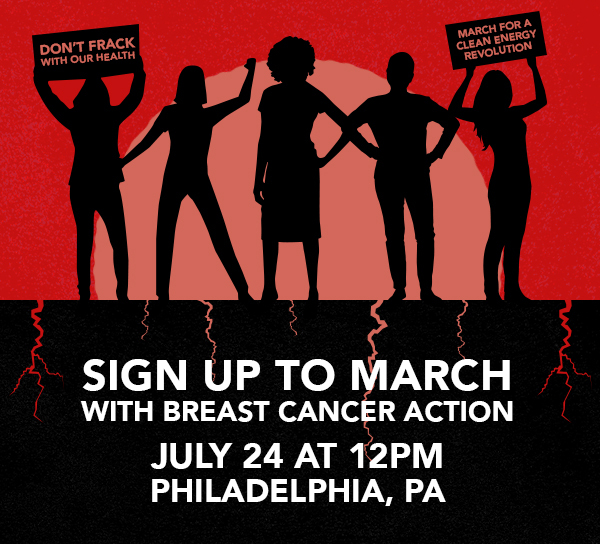 Join us this July 24th on the eve of the Democratic National Convention, and stand together with BCAction in demanding a healthier, less toxic future. P.S. With only one month left until the march, we really need you to help us spread the word. Please reach out to your family and friends and have them sign up to march with us here.